pantone has just unveiled 336 new colours in its ‘plus’ series, bringing the total of solid colour selections to 1677. the design team notes that the additions reflect primarily the selection of points within existing colour spaces to add nuances of tone, although the ‘plus’ series itself was conceived equally around developing completely new lines of color, as was the case with its neons, pastels, and coloured metallics. all 336 new colours and their guidesare available immediately, in both coated and uncoated formats. they will be added to ‘color bridge’ and other pantone compendiums, as well as the ‘capsure’ and ‘my pantone’ mobile apps, by june 2012. FraSpi has apparently never worked in the design production field. no one is claiming that these are brand new, earth-shattering, never-before-seen-colors, just invented today by the god of pantone. but the reality is, if you work in graphic, interior, or (i imagine) industrial design, you just got 336 new “crayons” to play with. so thank you pantone and thank you designboom for the news. 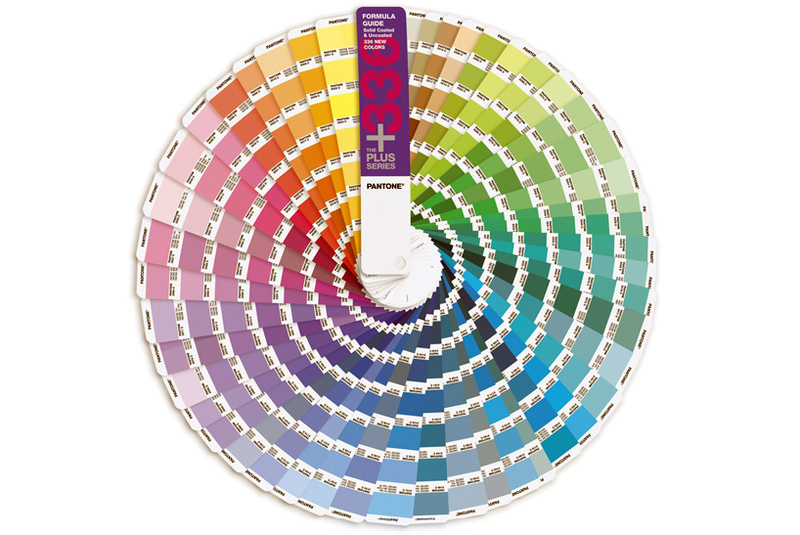 Maybe the statement should have been \”Pantone has added 336 additional colours to its collection\”. Brilliant FraSpi thanks for the comment. I wouldn’t have been as kind to someone being so condescending about something they obviously shouldn’t be flapping their gums about. Perhaps they should figure out that of which they speak before putting it in black & white. Reminds me of a proverb. It is better to be silent and thought a fool than speak and prove it. FraSpi is exactly right. These colors are defined by pantone to aid in identifying a specific hue tone & saturation etc for the purpose of color coordination between genres. In other words if you are an interior designer and you have a couch in a shade of blue and wish to match it or see if another specific piece is in the same color family pantone offers benchmarks to compare. It is an invaluable tool. So one can imagine how exciting it would be for someone who works in such a field to suddenly have 366 new options.